Thanks for visiting ninjaDIY.com I hope you are enjoying browsing through my website. If you have landed on this page is because maybe you want to know something about me. I’m Adrian and I have the pleasure to write this few lines about me. I worked as a Head Chef and Somellier in some of the best Hotels, Casinos and Michelin Star Restaurants back in Spain. I did a little bit of that in the UK as well but I needed a change. Personally, I’m not afraid of changes, but this one was quite a big leap from the madness and the heat of the ovens, which I miss A LOT … to the exciting and dangerous world of the Construction Industry. Once I left the ovens, I’ve started again from zero in an industry I didn’t know anything about. Starting brushing the floors, cleaning behind other trades. … I’ve done jobs from handyman to operating heavy equipment and everything in between. I am working as qualified Roto Telehandler Operator not only on building sites but on other projects as well like preparation of big sports events or concerts events and other areas that have to do with lifting loads to hights and move around heavy loads. I simply love my job. When I get up in the morning and know that I’m going to work I feel quite happy about it. Many of you will know that not so many people love their jobs as I do. They go to work because they need to pay the bills. Luckily this is Not my case. And now, in tandem with my day job of operating the Roto Telehandler, I create and manage websites in different industries. This would be another job that I could get up in the morning and be very happy to do on a permanent basis. At the moment, I do it part time only, with a small team that assists me to achieve my goals. Due to the jobs environments that I’ve been working on, I feel quite comfortable to write good quality articles and product reviews about gear related to the Constructions Industry. If you want to find out more about me, I kindly invite you to connect with me on LinkedIn or Facebook. Mainly I want to bring the intimidating construction world to your doorstep. I have a need of sharing all this stuff that I know with all of you out there, as the construction industry it’s a really exciting industry, I have a lot of fun building or demolishing stuff, putting things together it’s what I love to do. I will bring you the latest technology, gadgets, tools, practices and more from our day to day jobs … and in return, Amazon is paying me a little commission to refer the products on their website in case you need anything for your projects. I put a lot of hours and effort into my websites to make sure that I always bring you not only the best products but good quality info as well. I aim to provide you with the best information about the products that I advertise and hopefully, that will help you buy with confidence the best construction gear available on the market. I manage this online business from London, UK. Apart from the obvious one, it’s a business after all … My mission is to select the best constructions gear and latest technologies available online and bring it for you in one single place. It’s easier to find whatever you are looking for on my small website rather than going through millions of products on Amazon. But wait, it’s more … not only I bring you tons of good information about the products that I use and advertise but I present you with product reviews as well to help you decide if you want a product or not. I am putting together some articles as well that would help you decide not only buy the products that you need but maybe learn some new things as well by reading my guides, reviews, comparison tables and much more, so make sure you check out our Blog. I look daily through Amazon products and I select only the best ones for you! WHY SHOULD YOU LISTEN TO ME?! 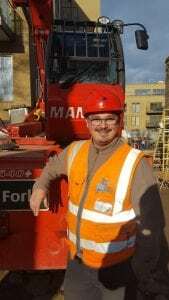 Monday to Friday I AM ON A CONSTRUCTION SITE working together, hand in hand, with over 100 different top professionals in the industry, this is what I do and I love it! That’s right, as you can probably imagine, I have First-Hand access to many skilled men and women within the industry. I mean, who can actually give you a better view of a product or a task than these hard-working guys who are using this tools day in day out? I spend a minimum of 10 hours per day in this environment handling different kind of tools and machinery, some which I didn’t even hear of before, in different kind of environments, all sorts of weather conditions for so many demanding and beautiful projects, small or big. This is one of the reasons I believe I am qualified to say something about the products that I present to you in my blog and I kindly invite you to participate by reading, making comments and even recommendations either here on my Blog or on my Facebook Group! Get in touch if you have any question about anything, we’ll be more than happy to assist.